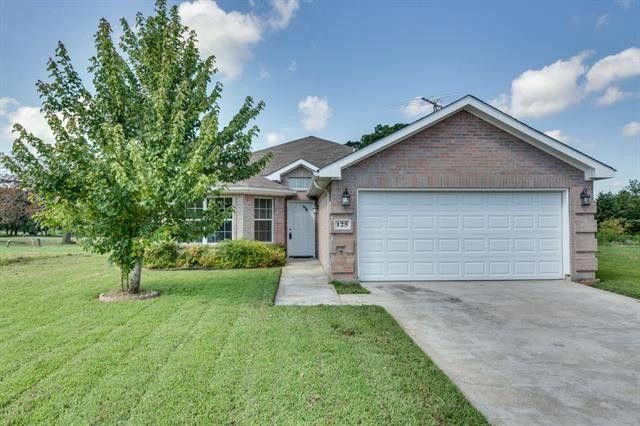 This charming move-in ready home has been updated with a stainless smooth-top range and microwave, interior wall paint, carpet and front door (7-2017). The heart of the Family Room is the brick wood-burning fireplace. The elegant Dining Room features a bay wall of windows and could also be used as a Study. The large Kitchen offers an abundance of cabinets, stainless appliances, stone-look laminate counter tops and pantry. The spacious Master Suite boasts a walk-in closet and luxurious bath with dual sinks, jetted tub, separate shower and linen closet. Other amenities include a separate laundry room, sprinkler system, alarm, garage door opener and gutters. Easy access to Hwy 80, SH-205, FM-148 and I-20. Directions: Hwy-80 to Terrell, South on FM-148, Immediate Left on West End Street (after RR tracks), Right on Mitchell, Home on Right.